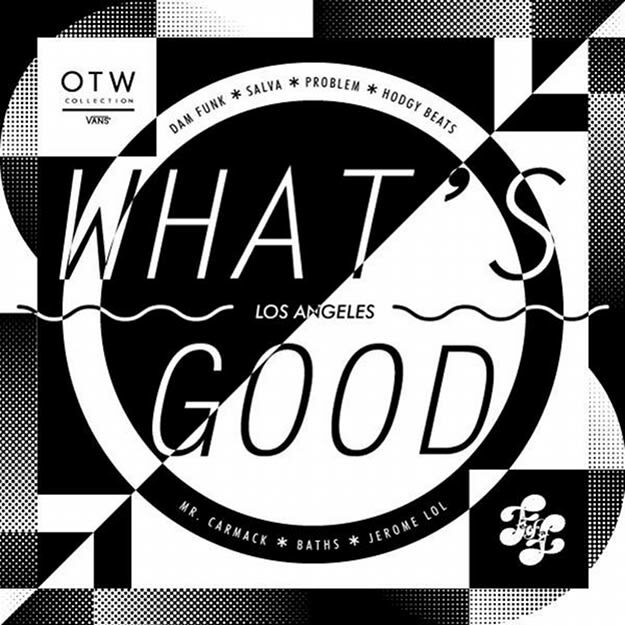 In a partnership between the Friends of Friends label and Vans OTW comes the What&apos;s Good Los Angeles EP. Clocking in at just five tracks, it punches far above it&apos;s weight with contributions from Dam-Funk, Jerome LOL, Baths, Salva, and Odd Future member Hodgy Beats going over a track by Mr. Carmack. Do I have to even sell you on this EP? It should pretty much be a no brainer. The way they word it on the website, it seems like this is the first of many works that will emerge from this collaboration. Check out the tracks from Jerome LOL, Salva, and Baths below.